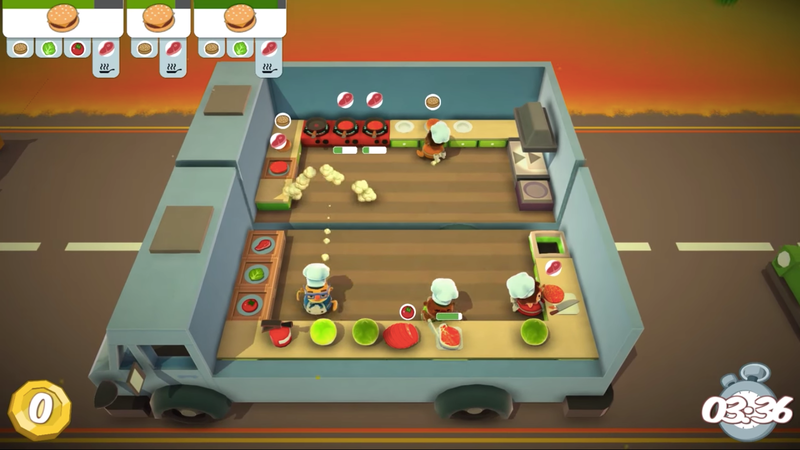 Here’s what I knew about Overcooked when I started playing it for the first time yesterday: It’s primarily meant to be a multiplayer game, it can be stressful as hell, and solo play requires controlling two quirky little chefs plucked straight out of a claymation exposé on failed health inspections. All this to say: I knew better. And yet I still played it by myself. Not only am I playing the game by myself; I’m also trying to three-star every level on my first playthrough. In-game ranking systems are generally a measure of overall mastery, which is not something you’re necessarily supposed to have on your first run of a game. But by the time I registered the relationship between creative gameplay design and abjectly crappy kitchen planning, my brain had already had a hit: I got a three-star rank out the gate on my first post-tutorial level. It went to my head. “I was a Subway sandwich artist as a teen,” I scoffed. I think I know a thing or two about chopping some goddamn onions. Reset. Reset. Reset. I soon found myself in a maelstrom of lettuce and mushrooms and dirty dishes, my chefs either flying frantically across the screen or doing absolutely nothing. Nothing? After a couple seconds of not feeling my Joy-Cons vibrating in my hands, my brain would fly into a panic. You can’t be doing nothing! This is a place of business! 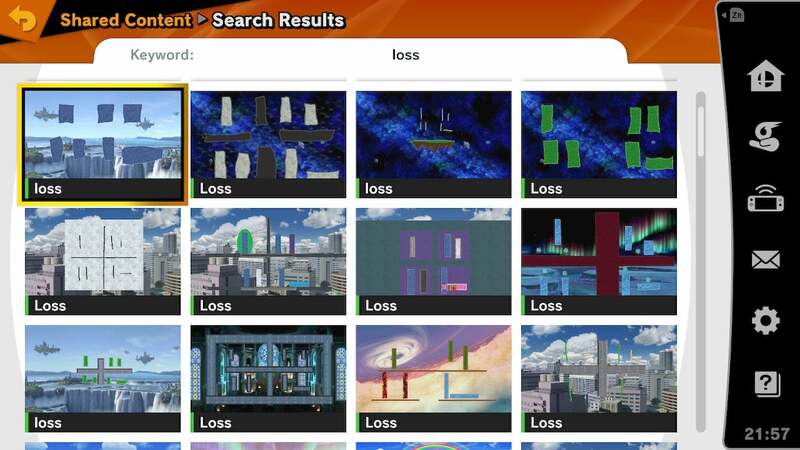 I started off strong but didn’t realise how absurd some of the later levels would be. The first set of levels was challenging, but each of them generally just took me maybe one or two resets, if that, before I filled the empty, star-shaped hole in my heart with a three-star ranking. But I wish I’d realised how real things were about to get after my second visit with Onion King, whom I now call Chop Chop Master Onion with a mixture of appreciation and disdain. I’m sure I’m the first person to think of that. Soon enough, I found myself reliving level 2-1, or the Great Burger Truck Caper of ’95 — over and over and over and oh my god not again I’m just eight points shy. 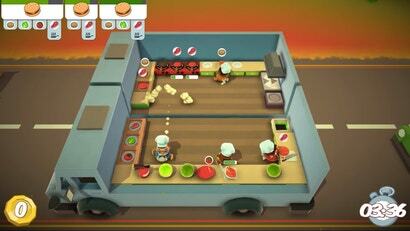 This is a level in which, bafflingly, you are cooking on two separate trucks, each kitted with some but not all of the things you need to cook each meal. Each truck is also veering toward and away from the other throughout the course of the level. “WHY IS THERE GROUND BEEF ON THE GODDAMN FLOOR, JOHNSON? ARE WE A PIGSTY, HERE?” I asked my virtual chef. He did not respond, but I did realise that you can toss meat around and leave it on the floor before cooking. So I started tossing meat around and leaving it on the floor before cooking. I probably should not have started trying to three-star these levels without even realising you could toss meat around and leave it on the floor before cooking. Finally, after reaching the 180-point mark, I stopped. As my focus returned once more to the real world after concentrating so hard that smoke was probably coming out of my ears, my awareness of my body returned as well: I’d given myself a stress headache. 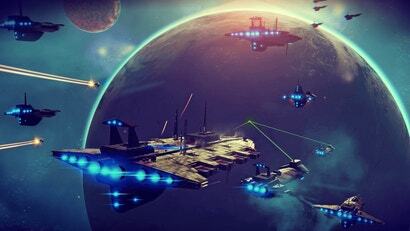 On the second world of the game. 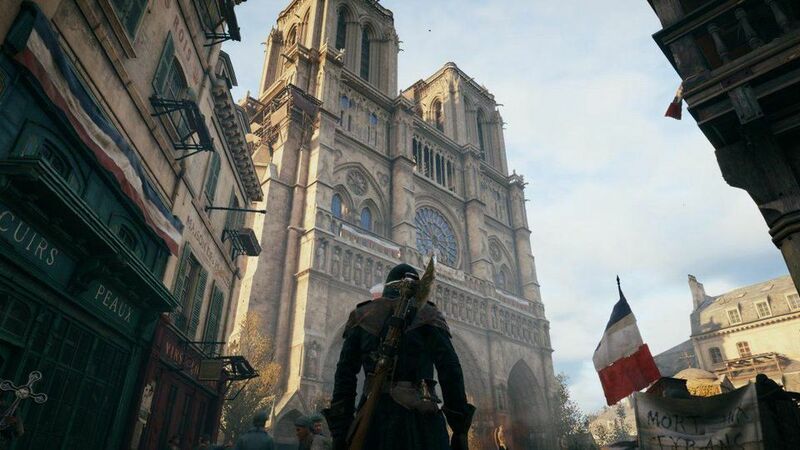 On the first level of the second world of the game. The answer is because you aren’t supposed to obsessively try to get the best ranks on a game you don’t know how to properly play anyway, and also, because the controls are on the screen. Anyway, that’s it. That’s the list of techniques. And you don’t have to tell me twice, OK? I made the game way harder for myself than it ever needed to be and ended up feeling like a kid who’d been pounding Kit Kat bars and Skittles all day and went into sugar shock. I couldn’t imagine such an awful experience. Overcooked is best played with friends, but the solo experience (controlling two dudes at once) is something you’d have to be a level 11 Brainlord (with 5 levels in Brainiac) to succeed at. ...not to mention a PhD in multitasking. This has been my challenge in the past few months. With my toddler son as my only audience, this is one of his only age appropriate games to watch me play. It is tough but little by little you realise it is doable but the margin of error is so slim. And yes, dashing and throwing stuff on the floor has been the go to strategy.